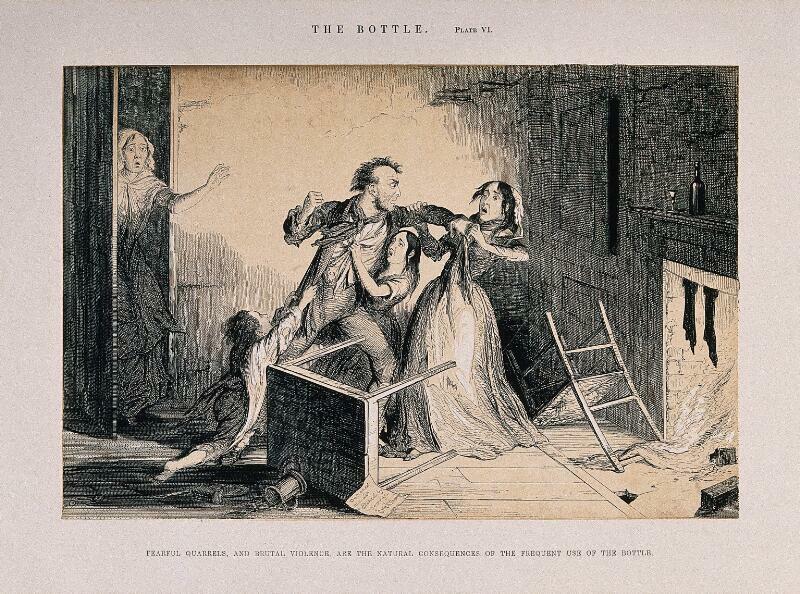 A drunken man fights with his family, all ruined through his drinking habit. Etching by G. Cruikshank, 1847, after himself. 1 print : etching ; image 22 x 32.6 cm.